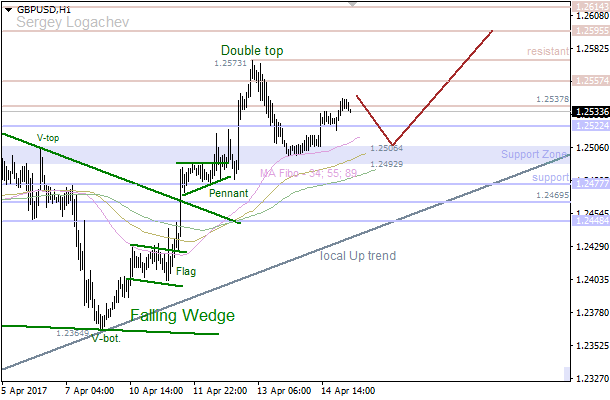 The price faced a support at 1.2506, so there’s a consolidation, which is taking place on the four-hours chart. Therefore, the pair is likely going to test the 34 Moving Average, which could be a departure point for an upward correction towards a resistance at 1.2595 – 1.2614. The 34 Moving Average has acted as a support, so the price is consolidating. In this case, bears are likely going to reach the 55 Moving Average during the day. If a pullback from this line be on the table, there’ll be an opportunity to have a new local high. 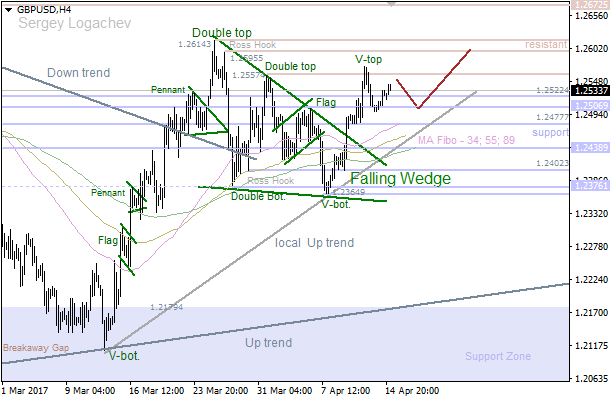 The main bullish target is a resistance at 1.2573 – 1.2595.